MoodyHOUSTON-Moody National Cos. is planning a 200-unit residential tower on 1.25 acres that it just bought in the Texas Medical Center. The $35-million Cambridge Tower will break ground in first quarter 2008 and deliver in early 2009. No info provided as to the number of floors. I'm very surprised to hear about this in the press so soon. Thank you Boris for the info. Boy will my neighbors in Devonshire be surprised. Moody National Cos. is planning a 200-unit residential tower on 1.25 acres that it just bought in the Texas Medical Center. The $35 million Cambridge Tower will break ground in first quarter 2008 and deliver in early 2009. The developer picked up the site at the intersection of Woodbury and Cambridge streets in an off-market transaction with a local private seller. Brett Moody, chairman and CEO of the locally based development company, says he'd had his eye on the land to build a residential product targeting a built-in tenant base from the entire spectrum of the medical community, from full-fledged physicians and nurses to residents. The fact the parcel is situated within 100 feet of the Michael E. DeBakey Veterans Affairs Medical Center and Baylor College of Medicine's proposed 2.7 million square feet project is underwriting the project's potential as are the proposed rents. "We've projected rents at around $1.65 per square foot, with an average unit measuring somewhere around 950 square feet," Moody says. "We want to offer a lot of variety from smaller studio units to larger luxury units." He adds that Moody will manage and lease the tower. Cambridge Tower marks one of many projects that Moody is developing. It's also underway with the renovation of the 297-room Residence Inn-Medical Center/Reliant Park at 7710 Main St. Moody says there are more projects in the Texas Medical Center on his drawing boards for this year. "We currently control 32 million square feet of space in the Medical Center, with eight million square feet under development or in the planning stages," he says. "By early 2008, that will be slightly under 40 million square feet we have." "We currently control 32 million square feet of space in the Medical Center, with eight million square feet under development or in the planning stages," he says. "By early 2008, that will be slightly under 40 million square feet we have." they currently control 32 Million square feet in the Med Center? I don't think the Med Center has 32 million square feet in it's entirety. In fact I thought it was in the low 20's. Somebody really screwed up on the word "control," but if you were to replace it with a word like "have," then their numbers would match up with mine. The TMC has come a long way. 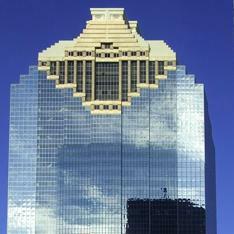 Added Cambridge Tower to the list of Proposed Houston Projects at Towrs.com. If anyone can fill in some of the blanks, that would be great. and there are some pictures of what was there prior.. I know this .pdf I am listing is kinda old (3q 2010), but it's a lot more recent than 2007 when this was first announced, leading me to believe there might be some traction. I'd check to see if Transwestern has an updated report but I'm about to leave the office. Just thought I'd put it out there for now. The report says it is a proposed project. Just to refresh...this is the site on the corner of Cambridge and Woodbury? Where the Katharine Mott designed house once was? This topic is a little rusty..
Last week, some neighbors reported seeing surveyors on the property. I believe Moody National is behind on property tax payments to our dear city. The City has to lay off police and firemen, Brett Moody lives in a multi-million-dollar mansion. PAY YOUR PROPERTY TAXES MOODY NATIONAL! Nope. They're current. Good for them! Perhaps some individuals should not be leading corporations named after themselves when the corporation appears lacking in its fiscal responsibilities. I left for Boston early last week and got back on Sunday night. Sometime during my trip, this lot was cleared. It had become overgrown. Now, it is completely level and all the brush is gone. I am 34 floors up, but it appears there is a new fence and sign on the property as well as some construction equipment (most likely what was used to clear the lot).I wonder if the tower might still rise? It seems like a great location for a rental tower since it is literally just a couple hundred yards away from MD Anderson's sprawling campus. I have no dog in the fight, but I hope that this is a go just so that House567 gets pissed off and rants. I find that his or her cathartic whining has amusement value. 34 floors up and you havent posted pics of the view??? Sadly, the new sign is for "Cambridge Commons." It'll be a gated community full of single family homes by Pelican Builders.